In a potential clash that could indicate “the best of the rest”, this could be a great fight to start off the year. Perhaps not the most sort after matchup, both men have impressive records and have challenged for world titles in the past (interestingly both have one loss on their record, coming at the hands of Wladimir Klitschko). With Povetkin at 38 and Pulev at 36, there may not be many fights left in the tank for either fighter, but a potential Eastern European showdown could be one of the more lucrative offers on the table. Since his 2015 loss to WBA, IBF and IBO kingpin Anthony Joshua, Dillian Whyte has kicked on, and has put himself in a position for a potential world title challenge in 2018. However, Whyte has been confirmed for Matchrooms 3rd February show at the O2, and rumour has it Australia’s unbeaten Heavyweight, Lucas Browne is his most likely opponent. Browne, who was stripped of his WBA title in 2016 after failing a drugs test, was involved in some twitter beef with Whyte in 2016, and it looks finally set to be settled, with the winner set to face Deontay Wilder later in the year. After Tony Bellew’s shock win in their first bout, many fans couldn’t wait for the rematch, scheduled for December. However, after David Haye picked up a fresh injury the fight had to be cancelled, leaving Bellew distraught and potentially looking at other options in the new year. While a fight with Tyson Fury has been discussed, it seems unlikely, and it is much more likely the rematch will happen, with dates in March and May a real possibility. Both have held world titles, and with both men coming to the twilight of their careers one last big payday surely appeals. If the rematch comes anywhere close to the original, fans should be in for a treat. Depending on how his drugs hearing goes later this month, Tyson Fury is hoping to make his long-awaited return to the ring in 2018. Before he goes chasing the likes of AJ and Wilder he must first shake off the ring rust, and what better way to do that than against rival David Price. Both men were progressing nicely side by side, when Price spectacularly fell apart, with his chin failing him time and time again. While Fury went on to reach the top of the sport, price was being knocked out by average European standard Heavyweights. But after Fury’s three-year layoff, Price offers a stiff test, and will highlight where Fury is at. 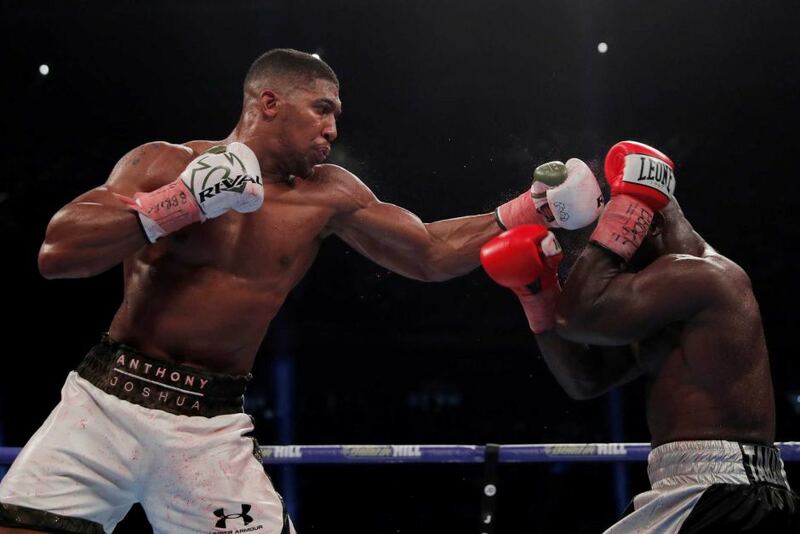 Undisputedly the biggest star in British boxing today, Anthony Joshua commands crowds and attention that few other fighters could even dream of. His fight with Wladimir Klitschko at Wembley stadium was legendary, and AJ has the talent to unify the division. First on that list is WBO champ Joseph Parker, the undefeated New Zealander has been less than impressive in his recent outings, but that has not stopped his promoters trying to control negotiations, using some questionable tactics. With both men undefeated world champions, this could be a fight of the year candidate, and even though AJ will start as favourite, Parker cannot be underestimated and will be looking to cause an upset.